Hi everyone!! Aloe vera gel has so many uses. It soothes, cools and gives hydration. This is why aloe vera is being used in so many of the beauty products these days. 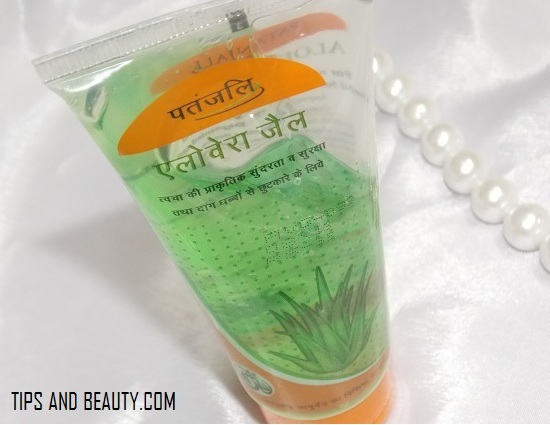 Today’s post is Patanjali aloe vera gel review. I have already done this review on my other blog but since readers of this blog are interested in this product so, here is the review of Patanjali aloe vera gel by Baba Ramdev. 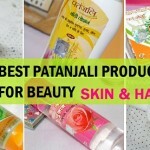 I have liked almost of the patanjali products and recently did a post on some of the best patanjali products that we have. Earlier, it was very hard to get this Patanjali aloe vera gel as I could not find a shop and this was not available online. But now Patanjali products are very easily avialable online. Aloe vera is one of the most used herbal ingredients that many companies use in their herbal skin care products. 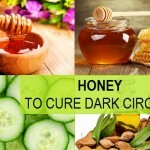 It has amazing skin healing properties and it also helps in getting rid of the pimples. You can also use aloe vera for skin lightening. For rashed skin which has redness and patchiness, there too aloe vera gel works wonders. Even when you have dark circles or puffy under eyes, then too aloe vera can immensely help you. Moreover, this product is not very expensive. You can either put an aloe vera plant at home or try this gel from Patanjali. Anyways, so friends let’s know more about this aloe vera gel from Patanjali brand and how we can use this. 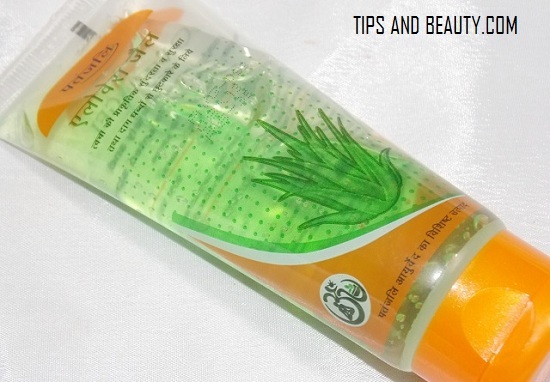 This Patanjali aloe vera gel comes in a tube which is transparent and costs 35 rupees only for this 60 ml tube pack. I would say that this is very cheap product which can be tried by men too. I will tell that later on. This products says that it contains 90 % of the pure aloe vera gel and then there is some color and preservatives. Preservatives are added to increase the shelf life so that products can be used for longer. Else you may have seen that the recipes that we make at home gets bad within a week right? But still I like fresh and natural products these days more. Aloe vera gel has become quite popular in the recent times and there are so many aloe vera gel brands. I have used aloe gel from a couple of brands but Patanjali aloe vera gel is the best out of them. This comes in a squeezable tube which is transparent. This is good as one can see how much the gel is left while using this. This gel is like a regular gel which is transparent and clear water like in color. It has a consistency of water too. I mean to say that this is gel but when I rub and apply this on my skin then it feels very light and like water, not at all like a cream. In the tube, it looks greenish but actually when taken on the palm it appears clear. While I massage this on my face, it gets some time to get inside the skin. When I am rubbing this on the face skin it feels sticky. But soon within few seconds, it gets completely absorbed in my skin and my skin feels very soft and satiny. But I also feel that this will not give too much moisturization to the dry skin. Now, I will tell you what are the ways, I use this Patanjali aloe vera gel. 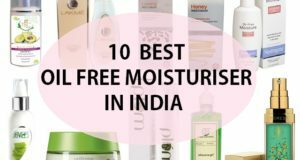 How to use Patanjali Aloe Vera Gel? Now, I am going to tell you all those different methods and tips, you can use this aloe gel for. This aloe vera gel can be used for several beauty uses like for your skin, hair and otherwise. This is why there are so many of those aloe vera gel products in the market. So, let’s check out. We can also use this aloe vera gel like face primer to smoothen the skin and to make the makeup last longer. I would just apply a thin layer of this on my face and leave for 5 minutes. Then I will apply my foundation or the BB cream. This simple step helps me combat the excessive oiliness and then apply my foundation so that the face looks matte and softer. 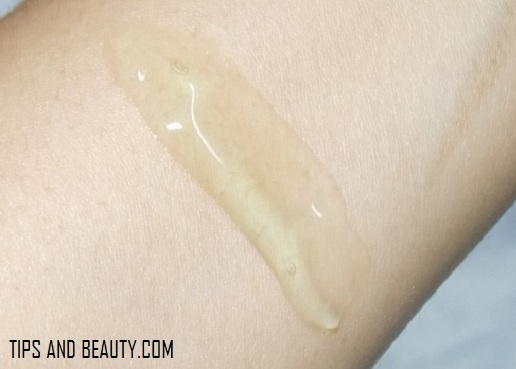 Aloe gel can also act as an excellent BB cream which is homemade. 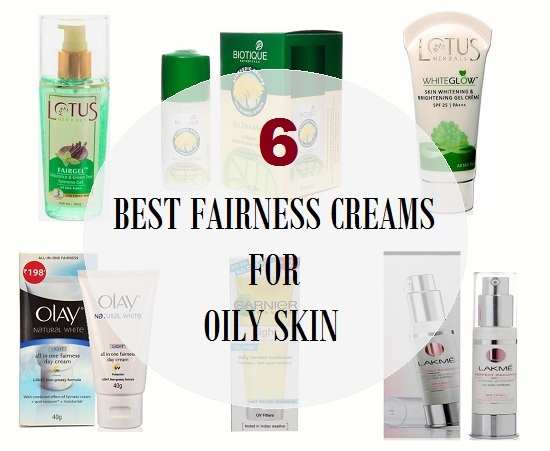 It is a non comedogenic skin product that is helpful for oily skin. Mix little bit of your favorite foundation with the equal amount aloe gel. This makes the texture very mousse like the mousse foundations and help in the flawless application. Thereafter, you can apply you compact powder or even the setting powders. The powder face packs that we use can also be mixed with the help of this gel. 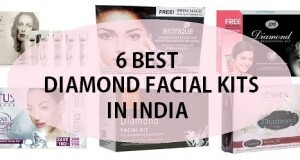 It acts as an effective medium that increases the efficiency of the face packs. You can take the packs in a bowl and add some of this aloe gel. This also makes the skin smooth further so that the skin glows. Like if you are making a face pack with neem then mixing this will only help you get rid of the pimples faster. You can also use this to make a paste of patanjali kanti lep and use that on the face. The gel is rich in minerals and has high healing capabilities. Wondering how to try aloe gel for your dry skin? Then the steps are pretty simple. So, how long to keep aloe vera on dry face? Read this. For dry skin, take a vitamin E capsule and 1/2 teaspoonful of aloe gel. Mix them using a clean spoon or your finger. Apply on the face at night to keep the skin nourished. Vitamin E is available in the capsule form on medical stores. 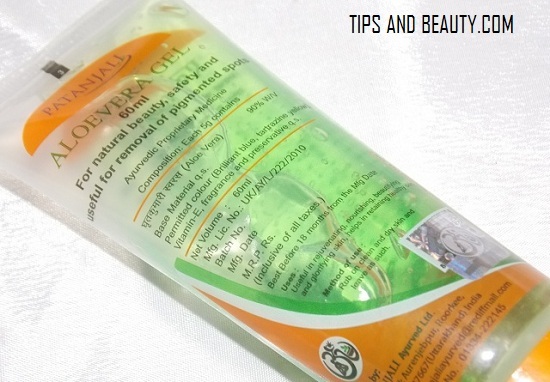 This will be an excellent remedy to treat the dryness of skin naturally. You will be amazed to see the results. Do you have dark circles that you wish to lighten with the help of the aloe vera gel? Then this patanjali aloe gel can certainly come to your rescue. I had some darkness under my eyes that I faded with the help of pure aloe gel. Take little bit of the gel and mix with 1/2 teaspoonful of cucumber juice. It gives cooling sensation and to get rid of the eye darkness. You can daily apply this at night to fade the dark circles and puffiness. Are dark spots stealing your beauty? 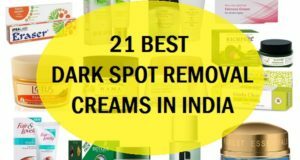 Dark spots are hard to get rid of and trouble both men as well as women. Aloe is also wonderful in healing the dark spots which are due to pimples and acne on the face. The same treatment can be applied on the dark underarms. You can mix some of this gel with little bit of the lemon juice and turmeric powder. Apply with a cotton bud or with your clean finger. Leave overnight. Next day wash with plain clear water. It will soon lighten the dark spots and blemishes off the skin. A simple aloe pack can get rid of all the skin troubles. No seriously! So, how do you use aloe on face? Regular application of the aloe vera gel can aid in not just the skin lightening but gives you freedom and relief in those sun burns, sun tanning etc. In summers, a lot of college students get sun tanned. So, aloe vera can help them lighten sun tan and burning. Mostly the tan is seen on the hands. so, let’s get to know how aloe vera can remove sun tan on hands. 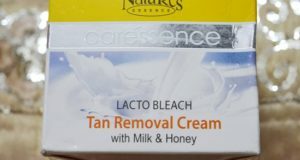 Once you have returned home, apply this gel on the affected area and leave for 1 hour. Then wash off. I apply this aloe vera gel to massage and then apply some more like a face mask. I leave this for 20 minutes, then, I wash my face. This soothes the face and gives relief in sun burn. As I mentioned above, aloe can be used to lighten the affects of the UV rays. Add some turmeric powder like 1 pinch and make a paste with some of this Patanjali aloe vera gel. Then use that on the face. Mix 1 teaspoonful of lemon juice with 1 teaspoonful of aloe gel. Apply this mixture on the blemishes and pimple marks. This removes the marks faster when used regularly. For oil control benefits for the oily skin too, aloe gel is wonderful remedy. You can mix this gel with some witch hazel. Apply lightly on the face like we apply a toner. This will control your acne as well. You may wash this after 20 minutes or keep all night. Regular application of aloe gel on the scalp cures the itchy scalp and dandruff problem. Just mix with some lemon juice or orange juice and apply. For hair growth too, aloe benefits are remarkable. 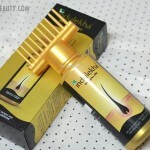 It initiate the hair growth and induces the dormant follicles to produce new hair. You can apply the gel on the scalp and leave for overnight. Wash the hair the next day with mild shampoo. 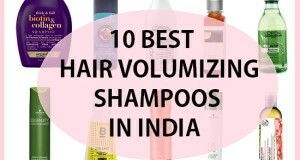 Leaving this overnight can give you better results in hair care. So, there are so many ways, I use this Baba Ramdev Patanjali aloe vera gel except for the dry skin remedy which I have not used. But my cousin uses because, she has dry skin. yaay!! But no yaay I have oily skin and pimples. 🙁 You can also use aloe gel as a face wash by simply rubbing it all over the face and the rinsing the face with water. Aloe vera gel can also be used on the stretch marks but I have not used that so can’t say. Aloe vera gel also makes the hair smoother and good for hair growth. Use pure aloe vera gel that we extract at home, for that you can buy an aloe vera gel plant and use that freshly extracted aloe vera gel on the hair. If you’re thinking, does Patanjali aloe vera gel have any side effects? My answer would be, Not at all! Yes, this is quite a safe product to be used everyday for the skin and hair also but use naturally or freshly extracted aloe vera gel. Now a days, they have also introduced the Kesar chandan version. Some preservatives and colorants are there in this. Take- Patanjali aloe vera gel can serve so many purposes and this can be used for preparing many beauty recipes that I have mentioned above. This is very inexpensive so, I will highly recommend this. Read this article, if you want to know more homemade uses and benefits of Aloe Vera Gel. 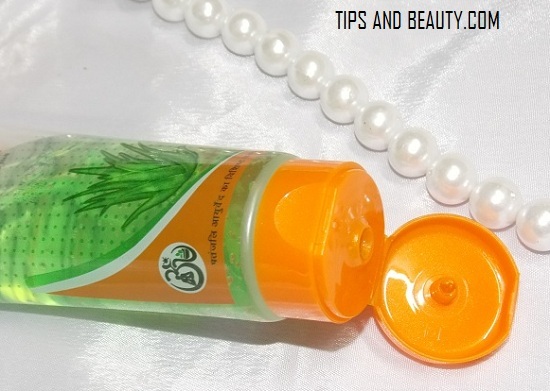 So, this was the Patanjali aloe vera gel review and some beauty recipes stating how I use this gel. Have you used this aloe vera gel for hair? How did you like this? presently I am using garnier fruit hair oil and kesh kanti hair oil . You can try sesa hair oil, that has given good results to my mom. Yaa Sure, I’m recently using sesa hair oil. and really it works. Can I use it right after using this face wash…. Hello mam, can i apply patanjali aloe vera gel directly on face & body like body lotion? And really is it ok to apply on hair also? Yes, you can apply that directly on the face like a lotion and for the hair I will suggest using the the fresh aloe vera gel like that we extract from the leaf itself. It is bcoz this aloe vera gel may have preservatives. Blemish control: When I have too many pimple marks, I will use some lemon juice and mix this with aloe vera gel from patanjali. Then, I will apply this mixture on the blemishes. This removes the marks faster. does we need to mix this gel with lemon and apply at night and keep till morning? I will suggest you to keep that for 30-45 minutes but not overnight. Can i apply pojonjali alovera gel direcly on face?? I would recommend using the fresh gel for hair loss. My face is too oily and i have little bit of pimple marks.can i use alovera face wash or neem tulsi face wash.which one is best for my face or anything else.plz help me..
suffering with heavy dandruff and hair fall.plz recommend me healthy hair oil and shampoo. Yes, you can try aloe vera and neem face wash.
You can try D’free overnight lotion for dandruff and head and shoulders shampoo. I am sorry Comfy, I have no idea about that. Hello mam, i have some pimple scars on my face. so is this product helpful for me to get rid of acne and scar issue. as present i m not using any face packs or anything. pls suggest. Hello, I am planning to use pantanjali hair oil as I am literally going bald. Just wondering if it works?? Thank you. Don’t use this, It’ll make your skin full of deep holes and you will look more aged. can i use patanjali aloe gel in pimple prone skin ? I have some pimples n their marks on face n I dont use any cream on face for 4-5 months.Now im going to use patanjali alovera gel at night so suggest me, how to use gel like I have to use gel overnite or for some time? Madam, my wife has black patches on face. Doctor told me it was melasma. She was applying creams that was prescribed by doctor but not much benefits. Pl. tell us some remedy. Mam,I am too dark. How to get whiten skin by using aloe vera gel?Please give me some tips. Can i apply and go out side in sunlight ? How can i remove dark spots on my forehead fast? it is very nice….and good for skin ..its fregrence is awsome..